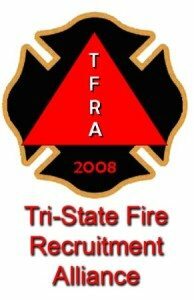 The Battlefield Fire District is proud to be part of the Tri-State Fire Recruitment Alliance. The Tri-State Fire Recruitment Alliance is a consortium developed to allow Fire Service agencies in Missouri, Kansas, and Oklahoma to jointly provide pre-hire testing for firefighter candidates. The process allows potential candidates with various levels of preparation to register with the Alliance and complete a written and physical ability assessment test. Upon successful completion the names of the candidates and applicable professional qualifications will be placed in a database pool for each participating agency to access for hiring purposes. Each agency will select candidates for further consideration from the pool that meet their specific prerequisite requirements. The names of candidates who successfully pass both tests will remain in the pool database for 12 months from the date of the test. There is a $75.00 registration fee charged to candidates to take the two tests. This regional approach to firefighter candidate testing has benefits for both the candidates and the participating agencies. The candidates looking to enter the fire service career need only test once to be considered by a number of potential employers, thus reducing the time, effort, and cost of multiple testing. Fore fire agencies collaborative candidate testing provides for test validation, regional uniformity, reduced resource utilization for recruitment and broader candidate pools. Tri-State Fire Recruitment Alliance includes: Battlefield Fire Protection District; Carthage Fire Department; City of Lebanon Fire Department; Logan-Rogersville Fire Protection District; Joplin Fire Department; Lebanon Fire Department; Mid-County Fire Protection District; Neosho Fire Department; Nevada Fire Department; Nixa Fire Protection District; Osage Beach Fire Protection District; Parsons (Kansas) Fire Department; Pittsburg (Kansas) Fire Department; Redings Mill Fire Protection District; and the Republic Fire Department. The Alliance will be conducting a pre-employment written & physical ability test (PAT) to establish a hiring pool for future hiring’s for a 12 month period. Hiring Prerequisites: Each member Department maintains its own hiring prerequisites which are available on their web sites. Some college education is desirable; as are EMT, Firefighter II, and paramedic certifications (certain departments prefer applicants with EMT certification but it is not required to take this test). Battlefield requires Firefighter II and EMT-B for consideration of hiring. The next test date is: October 19, 2013 in Camdenton, MO.